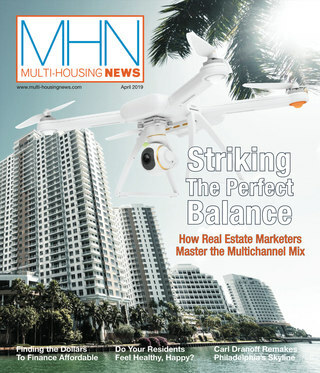 In a market and in a world of increasing risks, it is prudent for multifamily operators to have a firm grasp of their property’s exposure and correctly allocate precious resources. While insurance is an important tool “in the quiver,” there are a number of ways property managers can fortify their assets—both to the benefit of their bottom line and the resident body. Heidi Much, vice president of risk management services at Village Green, believes that the industry is evolving in its perspective on risk management, and that certain elements that might have been under appreciated in the past are now being put on an even footing with more traditional approaches relating to insurance. In terms of specific methods for securing such areas of exposure, Much offers suggestions for property owners that encompass technological and contractual liabilities, guaranteeing a continuity of operation if and when mishap strikes. However, insurance is certainly not something to be undervalued, and many operators are finding that the relevance of proper insurance is more pronounced in recent times. In terms of what types of insurance are the most effective in securing a property’s most valuable assets, opinion varies—and there are always nuances to each company and each community. Scott Woodward, risk management director at Trammell Crow Residential, notes that while there is diversity in what operators choose to prioritize, certain fundamental forms of insurance are constant across most apartment communities. 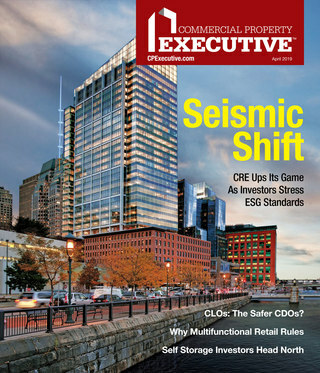 “I think [it] depends on your perspective, but it would seem that at the top of everybody’s list is life safety, followed closely by first-party catastrophic loss, and for a developer, it would be the construction defect exposure,” says Woodward. Much agrees and says that, from her perspective, there are two main lines of insurance that are essential to most every property, and that these often fall under the umbrella of a landlord’s insurance package. Yet while this type of package certainly covers much ground in terms of liability, it should not be viewed as the be-all end-all for one’s property. Steve Sachs, executive vice president and director of real estate and hotel practice at Willis Group, believes that insurance—like anything else—should be viewed as a unique business decision, with various elements coming into play. as uncontrollable, I think really good owners look at it as just another operation,” says Sachs. In terms of how to approach such an operation, Sachs offers his perspective on the basics of having a sound insurance and overall risk management policy. With regard to how the financial side is covered, many property managers have discovered an edge by requiring their tenants to purchase renters’ insurance. While some state laws prohibit this, such a tool is becoming more widely accepted in the industry by limiting loss on the landlord side of the equation, placing things like kitchen fires and break-ins under the tenant’s policy. Much agrees that such a requirement is necessary and that industry and resident acceptance is becoming more widespread, diminishing anxiety about a potential competitive disadvantage. Yet while the loss that could materialize from not having renters’ insurance is considerable, Much notes one area in which potential loss and liability is becoming profound—motivating industry insiders to revolutionize their outlook on risk and be prepared for threats that, years ago, would not have been conceivable. Apart from keeping resident data and company records safe, another element relating to cyber security is the fact that many rent payments are now being paid electronically, posing an immediate threat to revenue and creating an impetus for multifamily operators to take IT threats seriously.